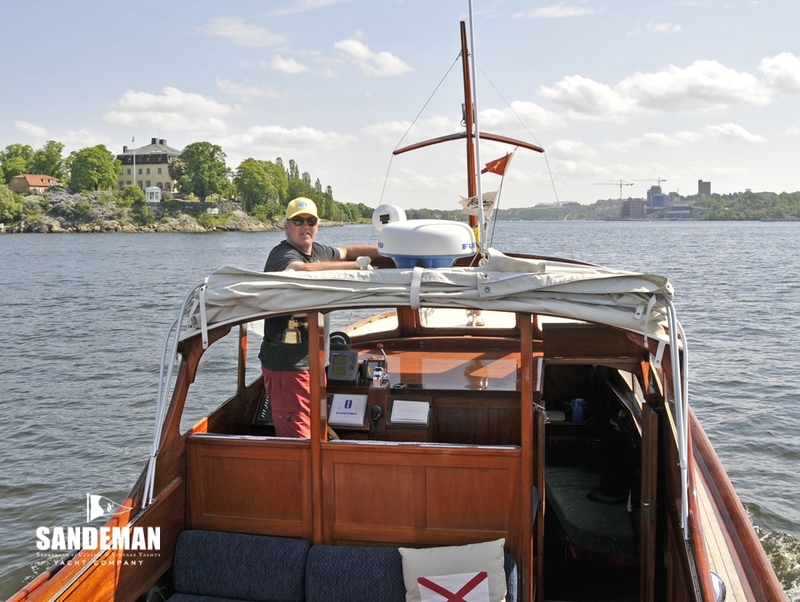 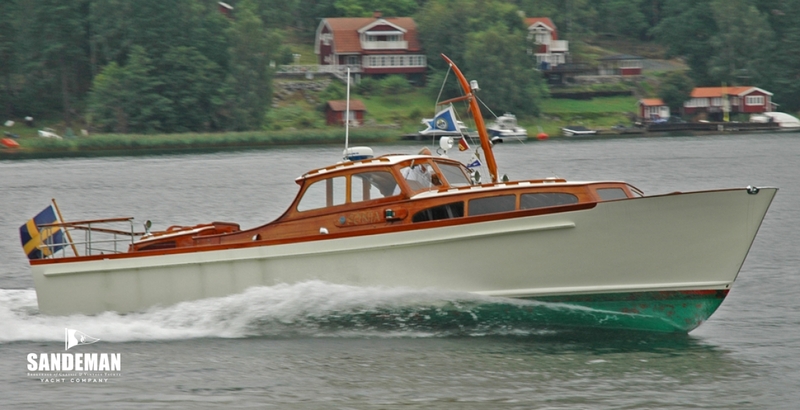 SONJA is from the skilful hand of Jac Iversen, one of Norway’s most important designers and boat builders – and one noted competitor among others in the design of the Nordic Folkboat. 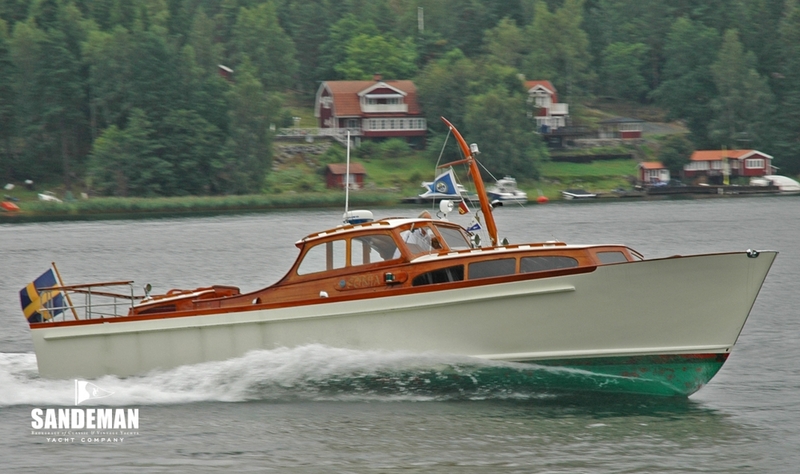 Iversen had spent some time in the USA and perhaps it was his exclusive knowledge of the latest techniques developed there that enabled him to create faster and lighter craft with such a sweetness of line. 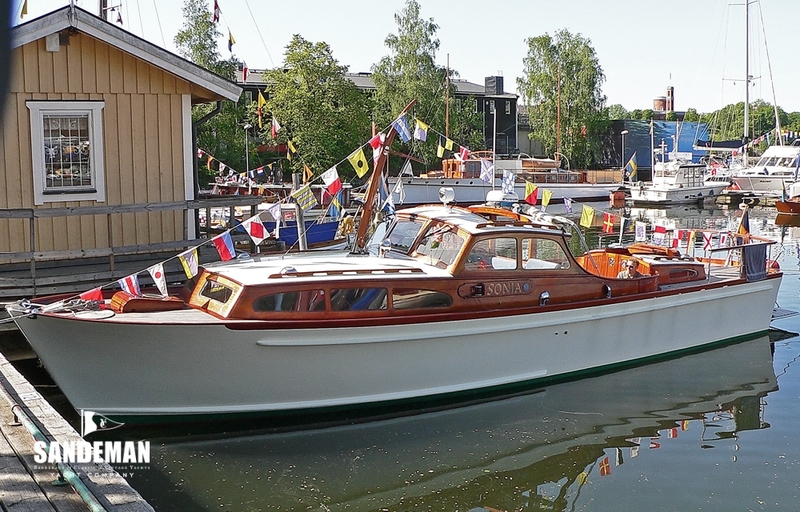 Iversen’s yard built fast boats for the customs men and possibly even faster ones for the local Baltic smugglers – SONJA was a smuggler in her early years; the cachet does lend a certain excitement! 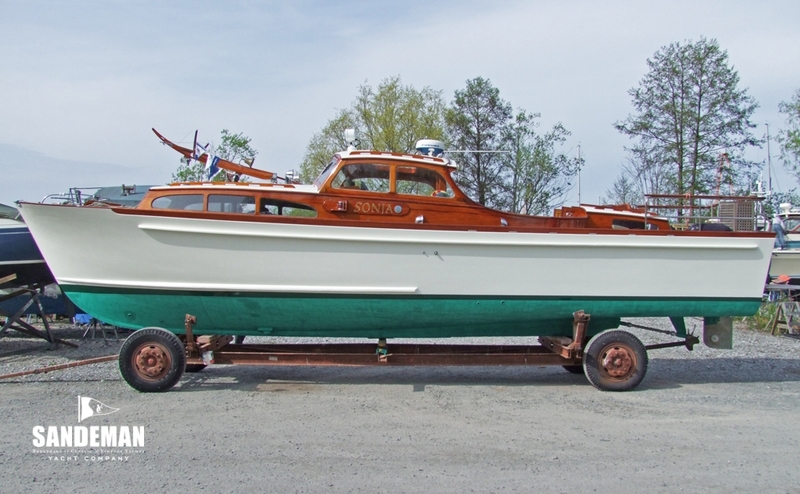 SONJA is one of the most attractive motor boats of this size to have come our way and is testament to the care taken by her dedicated owner of some 30 years always wintering the boat inside – she is a most interesting prospect. 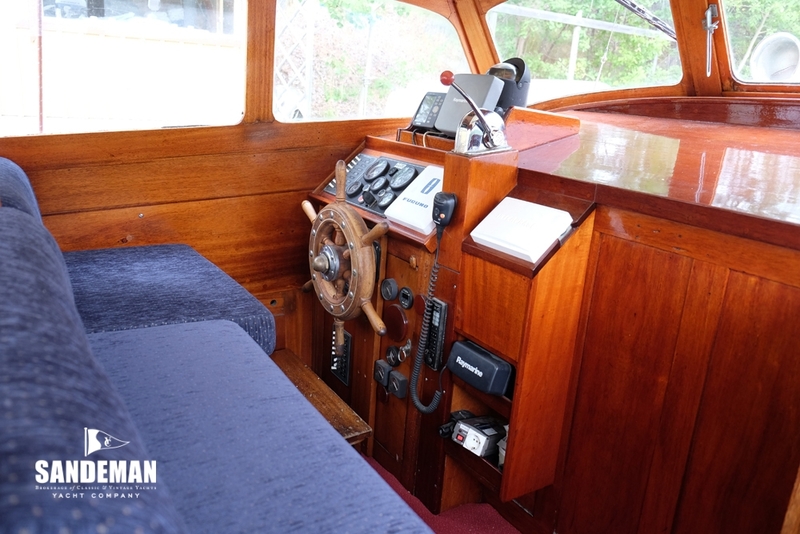 The history from the first owner is known to the present day. 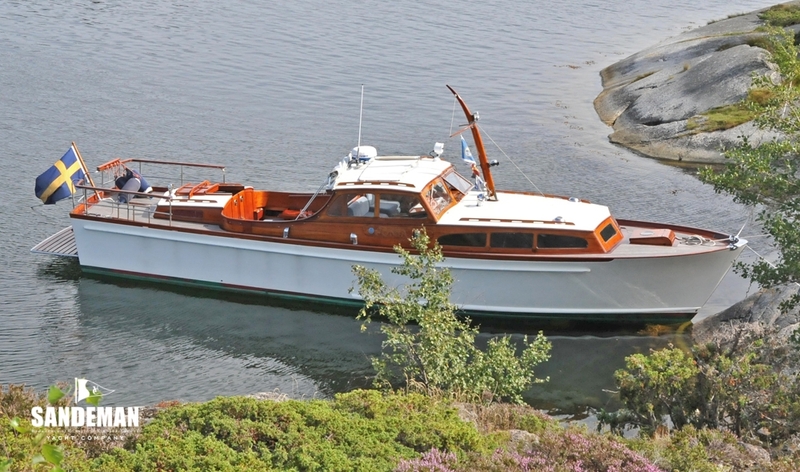 Her original name was YVONNE and when built it was probably for smuggling, and therefore she was customised for offshore operation in the Baltic sea at that time with 960 litre diesel tanks (now replaced with new stainless tanks of about 800 litre capacity). 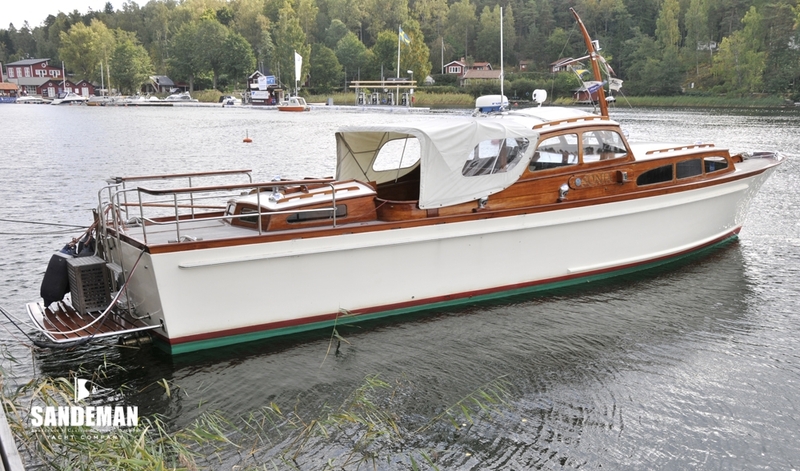 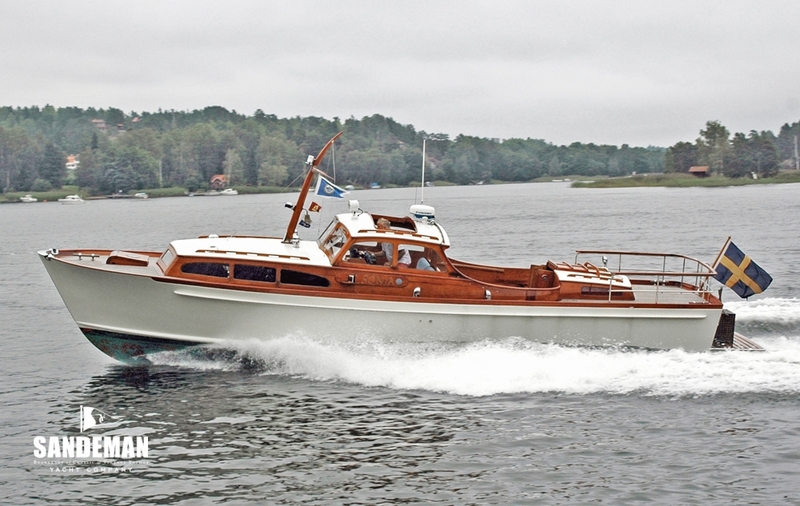 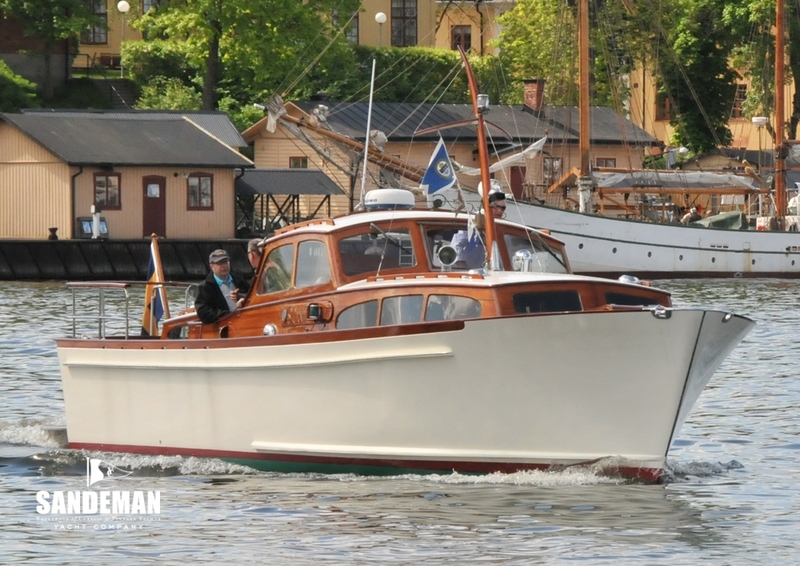 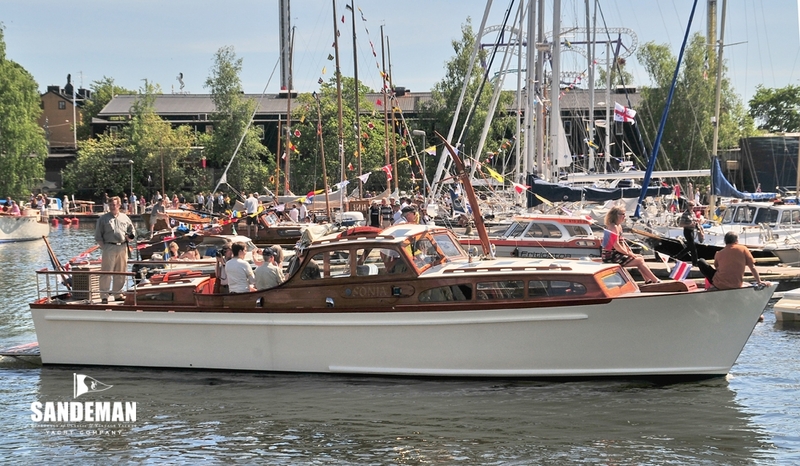 She was subsequently renamed after the new owner’s wife Sonja – and is a "Listed Pleasure Boat" by State maritime museums as the first pleasure boat in Sweden, and has been registered in Motor Yacht Society MYS since 1987. 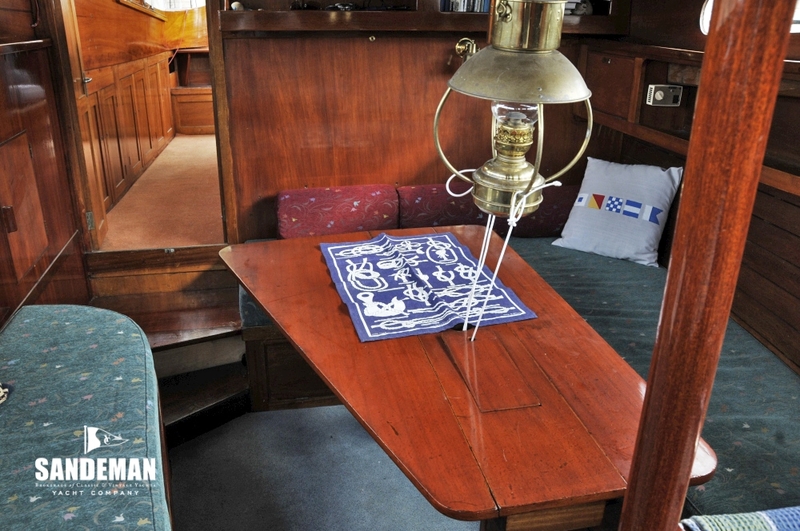 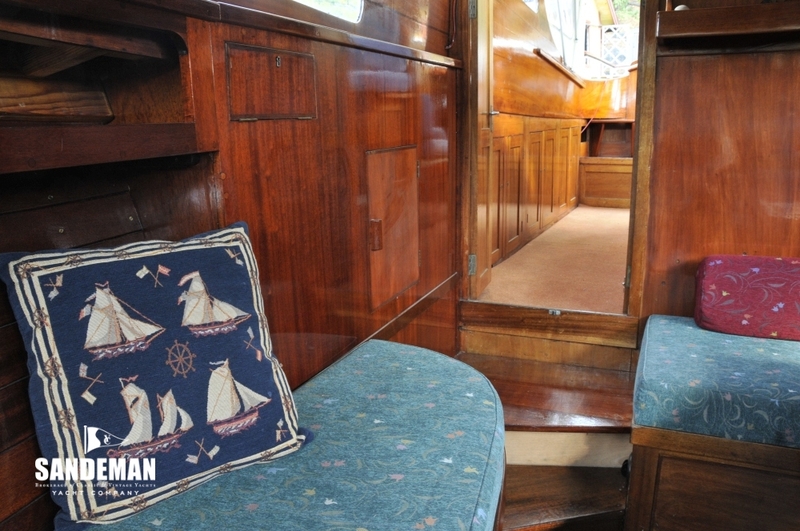 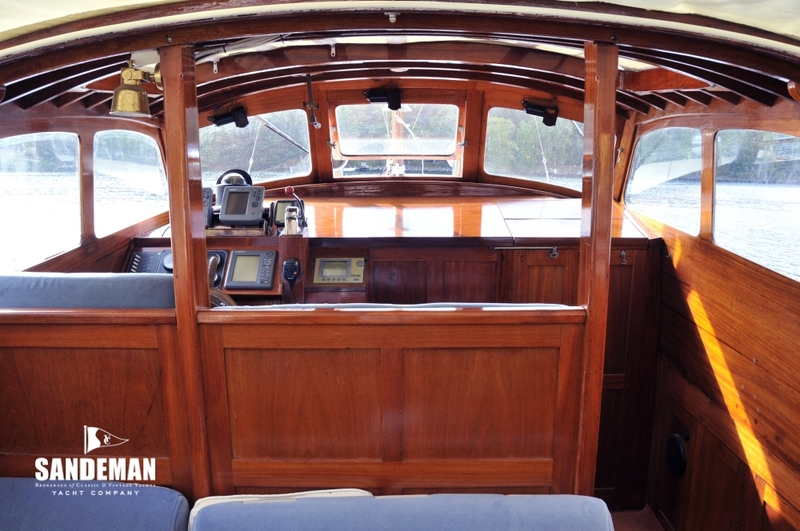 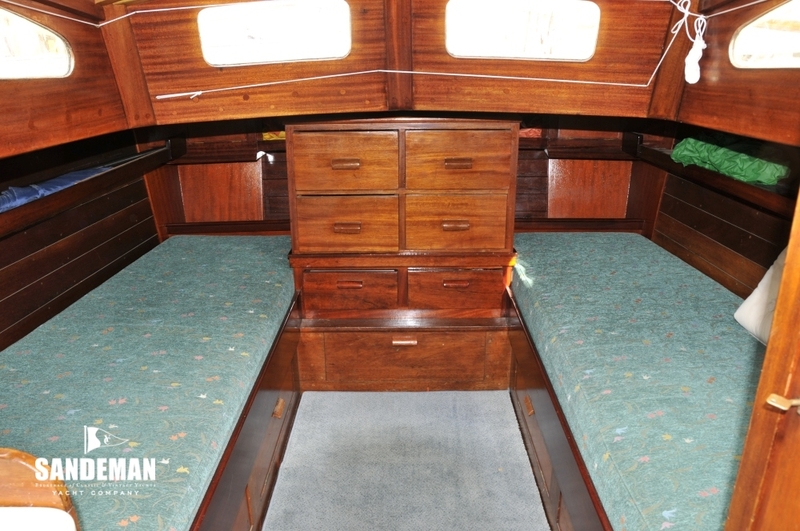 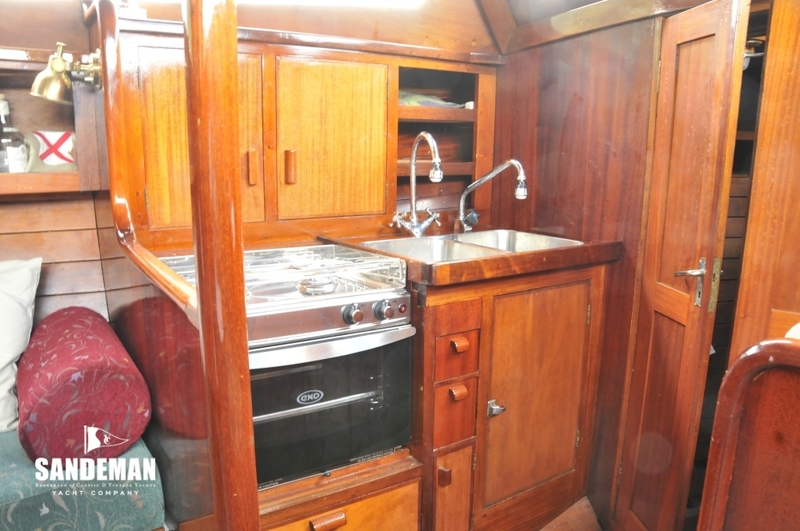 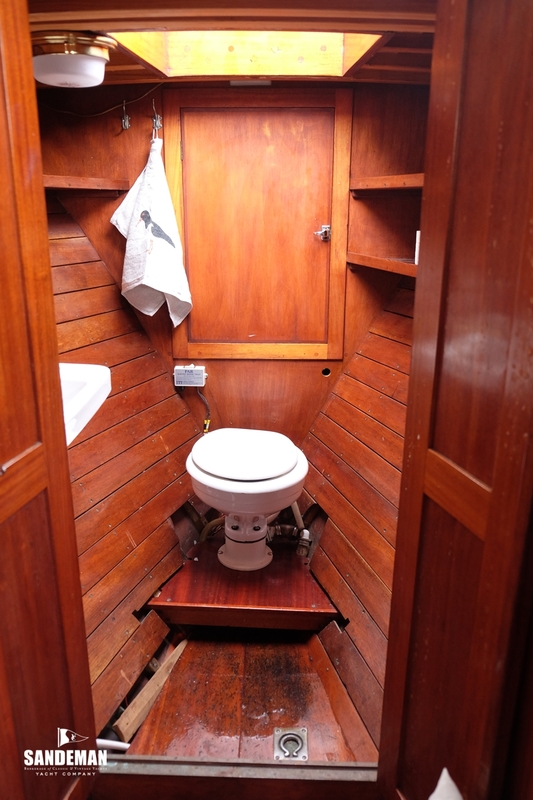 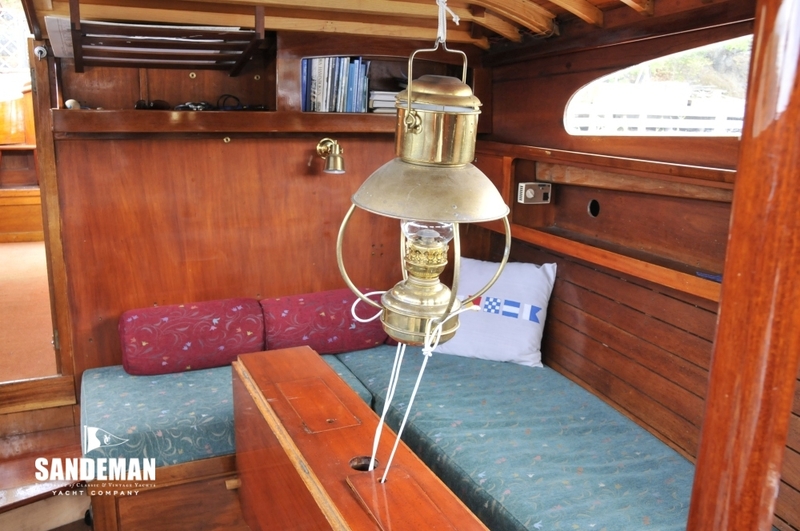 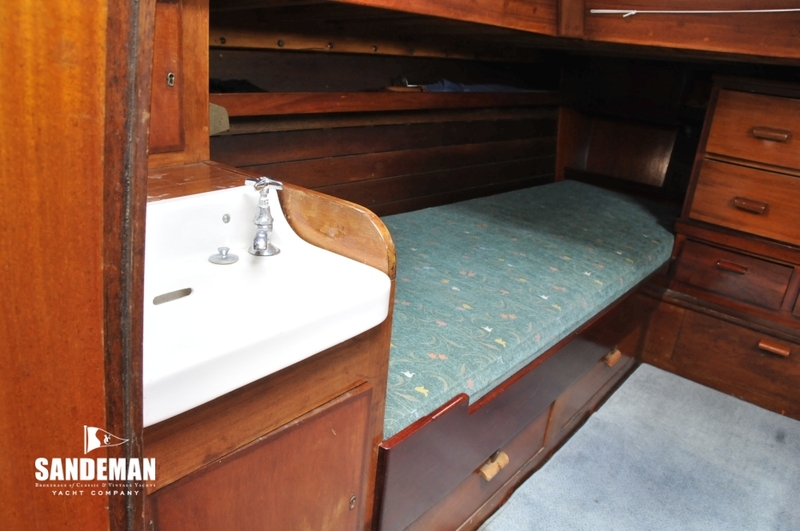 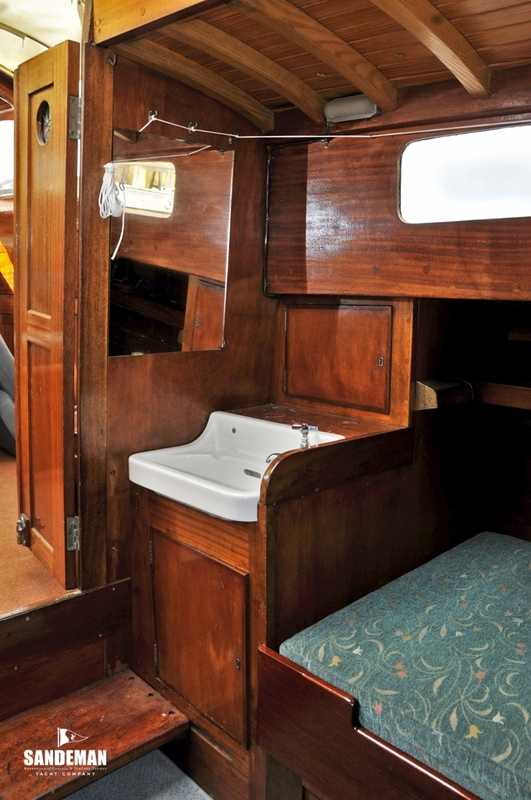 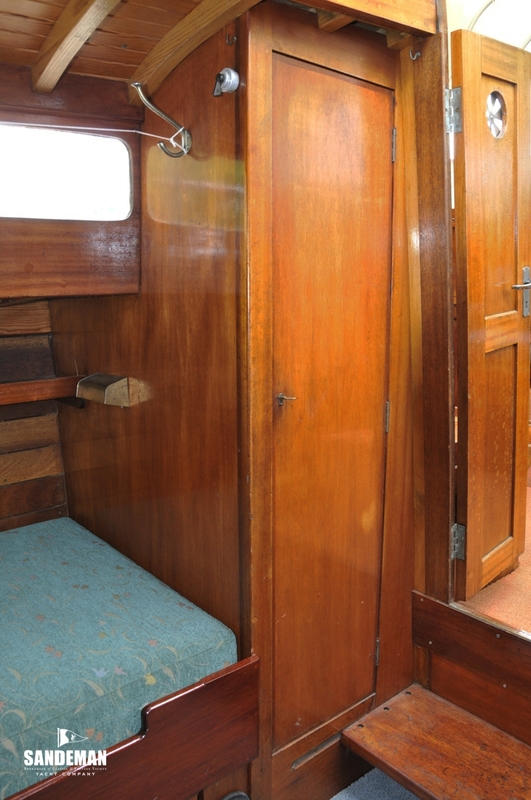 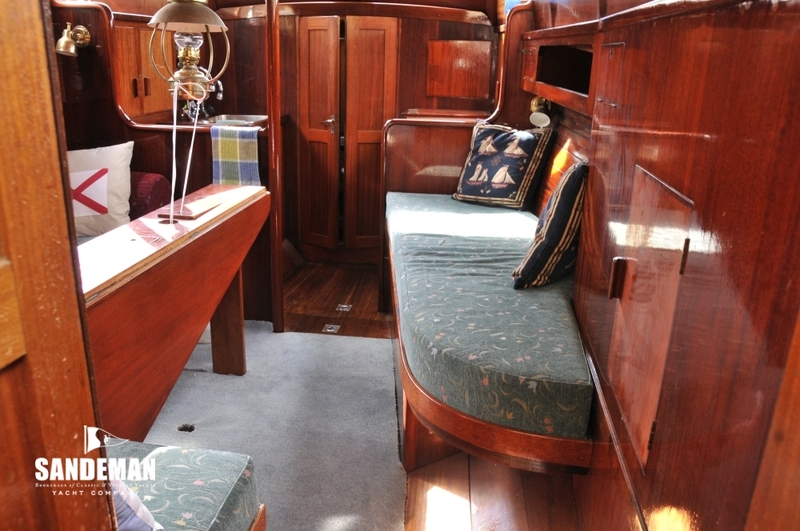 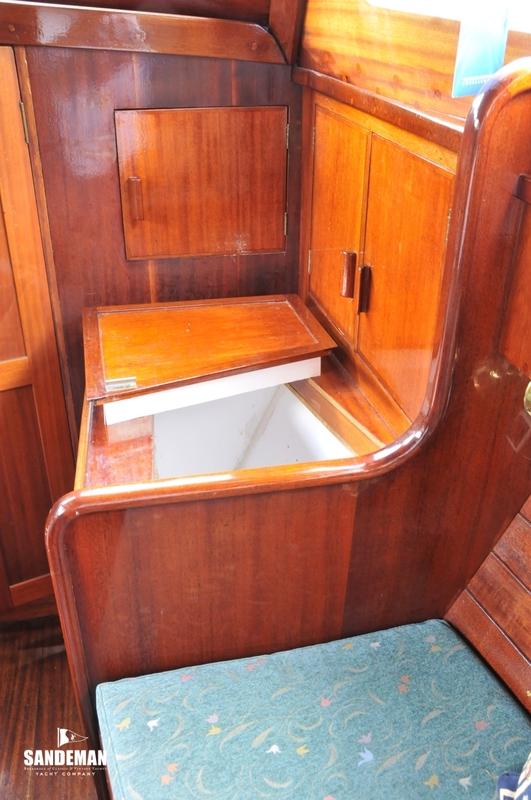 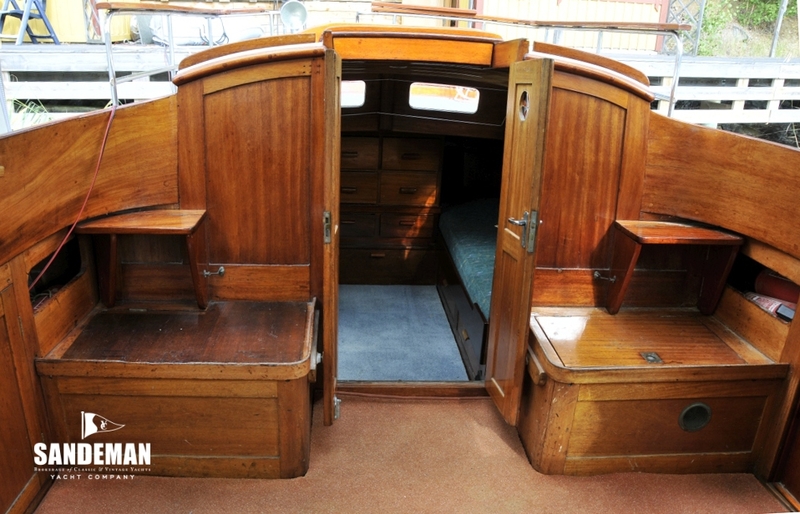 Practically everything on the boat has been restored or kept in good condition. 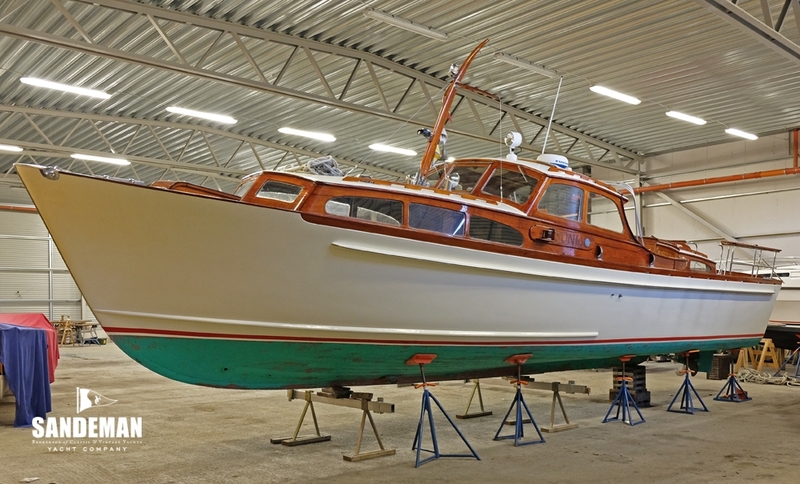 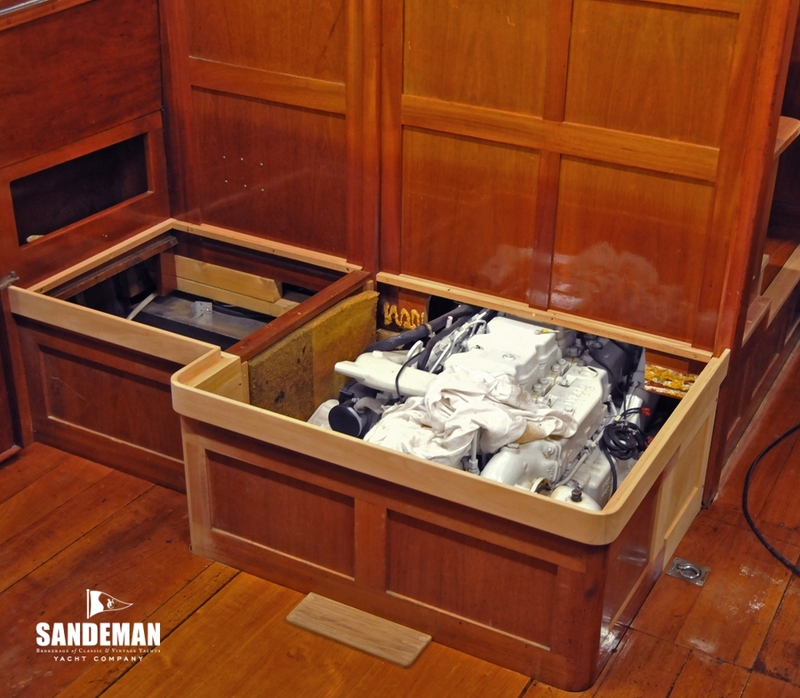 One year; two boat builders renovated the hull, during two winter seasons the entire interior was removed, new diesel tanks mounted, hydraulic steering, and all electric replaced. 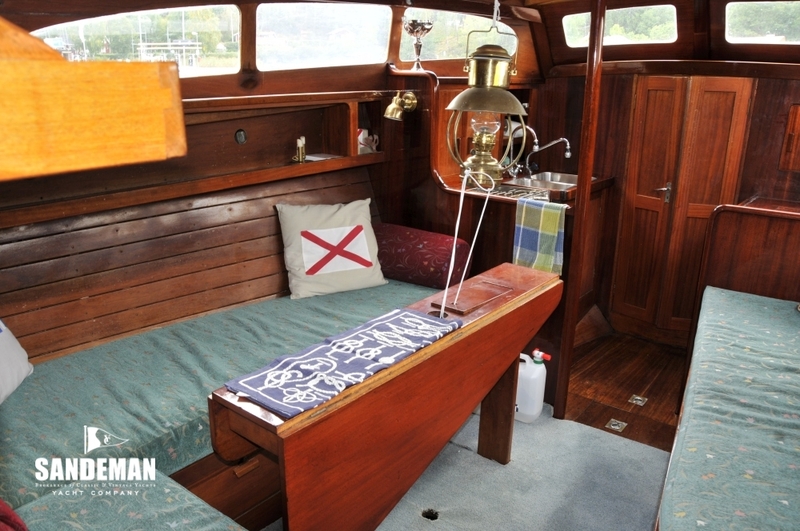 In 2016 all rivets on the bottom were checked and a new trestle in stainless steel. 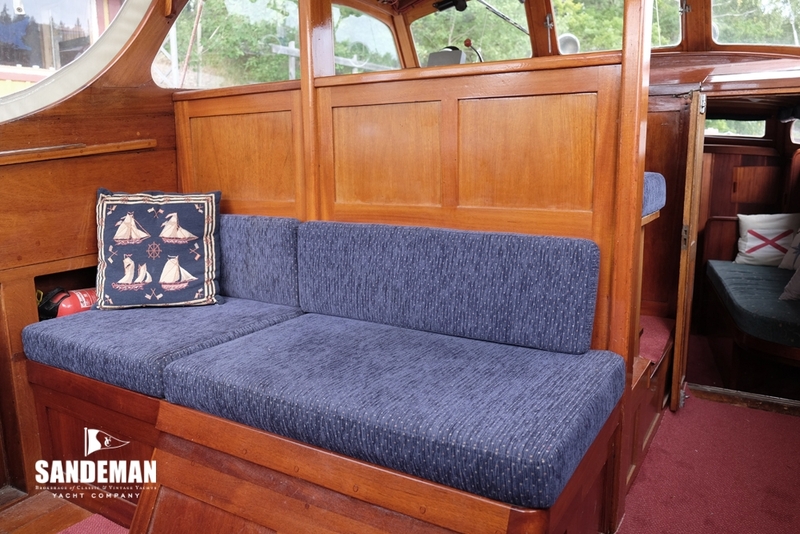 In 2016 all interior soft furnishings were new, also the boat covers.